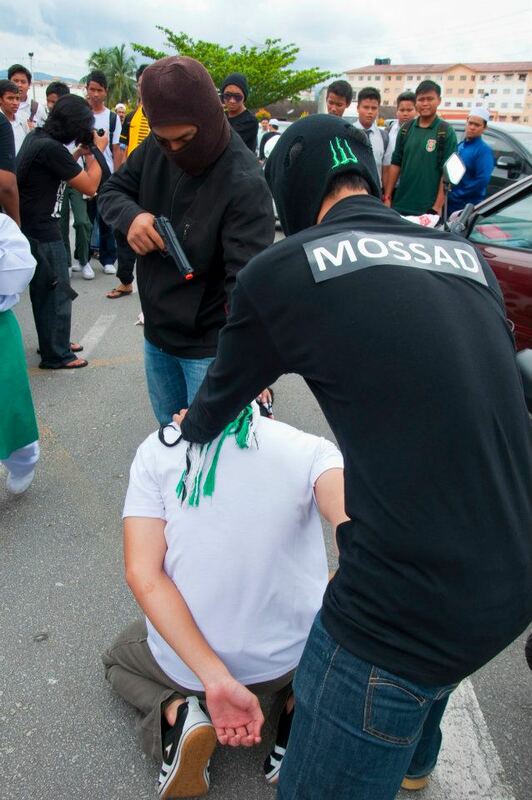 On Friday, March 2nd 2012, members of the Malaysian Islamist organisation ‘Aqsa Syarif’ (also Aqsa Sharif), which is a member of the official GMJ organising body in that country, organised a ‘flashmob’ outside the Al Amaniah Mosque, Selayang (Batu Caves) in order to (according to their description) “create awareness on Palestinian issues and in support of Global March to Jerusalem”. 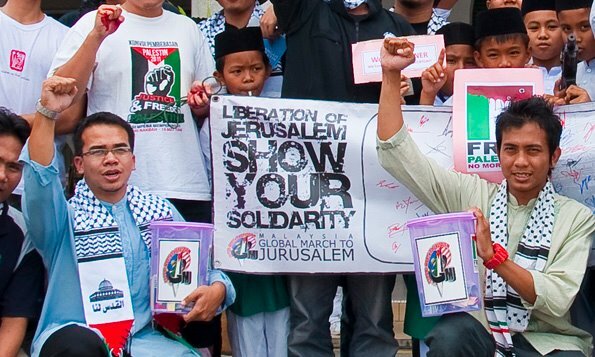 The chair of Aqsa Syarif – Mohd Tahir Abd Rahman – is also chair of GMJ Malaysia and a member of the GMJ Central Committee. 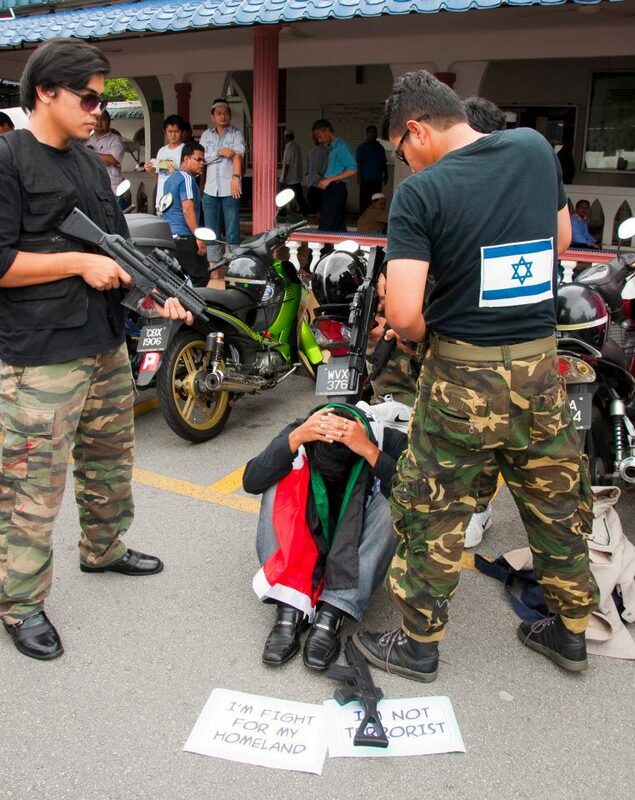 Aqsa Syarif has collaborated with ‘Viva Palestina Malaysia’ and the IHH on a convoy to Gaza. Last year Aqsa Syarif held a fundraising dinner at which the keynote speaker was Hamas activist Azzam Tamimi. 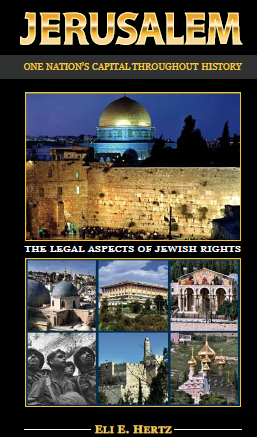 Also in 2011 representatives of the organisation also went on a speaking tour to Poland, the Czech Republic and Germany. 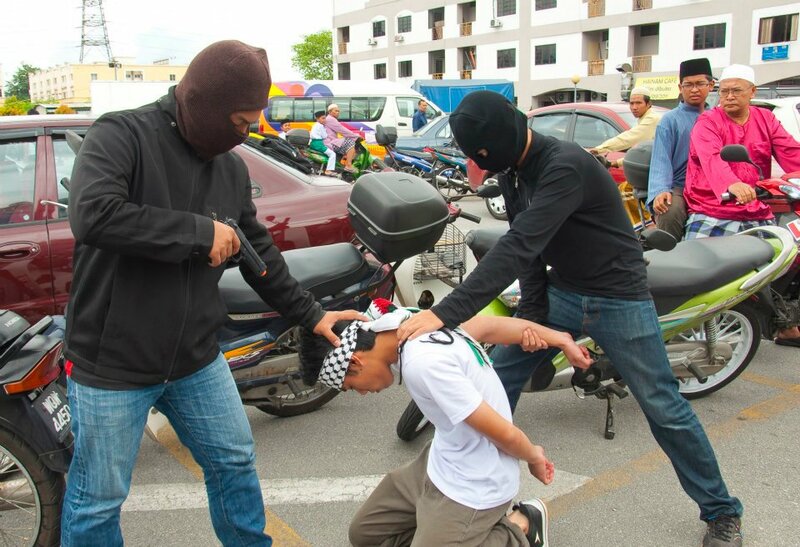 Below are pictures of the ‘flashmob’ event taken from the official Facebook account of GMJ Malaysia.